An X-ray is a common imaging test that has been used for decades to help doctors view the inside of the body without being invasive. 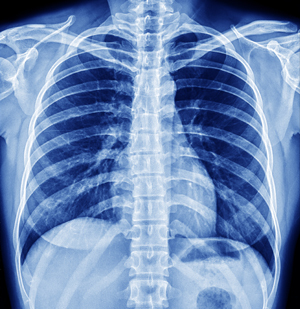 X-rays lets physicians see straight through human tissue to examine bones, cavities and other soft tissue (lungs, blood vessels). They are particularly useful in the diagnosis of bone fractures, and examining the chest and abdomen. Choice Diagnostic Imaging offers high resolution digital plain film X-ray which allows us to perform general x-ray while capturing all of the clinical data on computers instead of film.